First of all, let me once again wish all here at GMG a very happy & healthy 2019! Now, how do you want your personal musical year to look like ? Any resolutions? Any particular musical repertoire or performers you are planning to explore in the coming year ? Certain recordings you are planning to listen to, or concerts you want to visit? Buy more music, or less? Sell or your CDs and go digital? Stop listening to Classical Music altogether and switch to Jazz? I will try to be more critical in buying new CD'S. I am always on the lookout for new performances in a broad spectrum, from the early middle ages until 20th century tonal music. I am simply an omnivore. But I probably buy more, as always. No concerts for me, I tend to criticise in the concert hall, and my partner does not like that, but I cannot help myself grumbling if things are wrong. I never sell my CD'S but give them away, that's more gratifying to my mind. Classical music is my A&O, so I'll never stop listening to it, and other noise outside that field is non existent. And apart from that I wish you and all, wise decisions in handling the onslaught of new CD'S in 2019. As for me, no more new CDs. (Well, not much more). Listen more. Trying to reduce excessive OCD CD buying. Fortunately I had a last minute desperate splurge just before New Year's Eve. As with Harry, giving to charity shops my unwanted CDs rather than stock-piling them. I had recently a gratifying email from Mind, the mental health charity, saying they had received £50 from the CDs and books I had given to them. This encourages me to continue the process. I find that reducing my 'clutter' is therapeutic, especially as I get older. Resolutions are for when you're having trouble doing something, no? So you make resolutions to help motivate you. But we are all music fans here, aren't we? We don't need any sort of motivation at all. We will listen to music. It's what we do. As for the buying part of it, perhaps some of us feel we buy too much and so need a resolution to help us cut down on the buying. That I can understand. Though I deprecate it. I don't think it is possible to buy too much music. I could hardly even type those words out. They make no sense at all!! I don't buy any music at all at the moment, but that is simply because I don't have any money at all at the moment. Easy! So I don't need any resolutions. Perhaps I should resolve to acquire more money this year.... Yeah. There's an idea. Then I could get back to buying freely, without constraint, WOO HOO!!! Usually I'm not keen on New Year's resolutions. But I have noticed that without some set goals - whether at the start of the year or anytime - things tend to be put off indefinitely. 1. Broaden my horizon further in Early Music. English repertoire has been a recent focus I'd like to build on. I also like to explore more unknown ensembles and explore the recorded repertoire of favourites more systematically. 2. Going to more live events/concerts. 3. Listening to opera recordings more often. This has been always been an issue. I like opera - Baroque & mainstream - and own plenty of recordings. But the length of the make it hard to fit listening to them in my daily schedule... Switching off the TV/Netflix in the evenings and putting on the headphones might be an improvement. 4. Updating my recordings of key repertoire. In several cases I loved the music and was satisfied with the picked recording, but not particularly wowed by it. But couldn't be bothered to look into other options, for instance because I already moved on. There are also some specific favourite pieces that could do with another angle - Biber's Rosenkrantz Sonaten are an example in case. This will take some hard work and dedication, but refocusing on old favourites can be very rewarding. 5. To make room for new CD's and to figure out what to focus on, my collection needs an urgent culling. Clinging on to recordings with music that didn't inspire or with performances that were never quite satisfactory, has to end!! This operation will require more time and energy, but apart from all other considerations physical restrictions make this a must.Where to go with all the deselected stuff, is an entire problem altogether.... I'm looking into the possibility of shipping the bulk of it off to Medimops in Germany, and selling to few collector's items on eBay. OMG, what did I get myself into? Every resulution starts with an excess. Last year a number of tempting offers became available more or less at the same time and I bought them. I kept on telling myself I must work through my unlistened CDs before buying any more. This turned out to be pretty futile and the backlog has grown. I suppose I ought to resolve to clear it. I want to focus on enjoying my collection this year more than adding to it which is only too easy. There's enough Post War Classical in the mix now to give it a good balance and contrast without overwhelming the other stuff. I'm going to start by having a thorough listen to the music of 50 years ago which in my collection is mostly 1967-69 but the bulk of it would be counted as Rock of sorts so I'm probably better discussing it in a Rock forum. 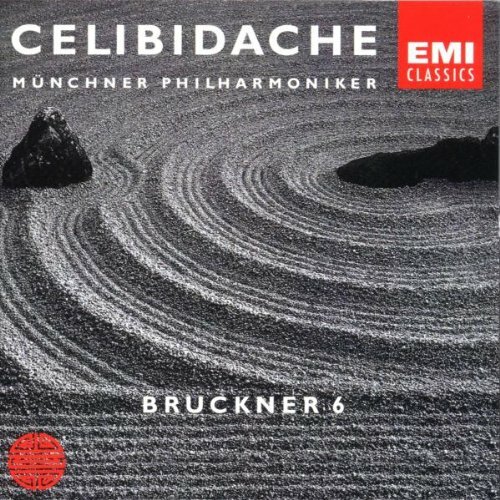 To continue my pursuit, and hopefully succeed in finding the perfect recording of Bruckner's 6th symphony! I want to focus on enjoying my collection this year more than adding to it which is only too easy. This is my No. 1 on the list, too. Were I to stop acquiring any new recordings until listening to each and every one already in my possession it'd probably take me a few good years. Why do I then keep on getting them at a far higher rate than I listen to them? Addiction's the name of the game, and it's not good at all. For me it should be the opposite: narrowing it down would be a healthy thing to do. When I come to think about the fact that I haven't yet listened to all the recordings I own of my top 10 favorite composers, my heart cringes. Spending five days a week on them and the remaining two for other repertoire would be a progress in my listening habits. And least but not least, refraining from posting provocative posts which I forget about the day after but which other people take seriously enough (which they shouldn't, anyway). Fingers crossed on all three. I will be curious to seewhat recording you will end up with! PS Havergal Brian's 'Vision of Cleopatra', which was part of the last-ditch end of year panic buying, arrived today. So, 'Cold Turkey' has not yet set in. 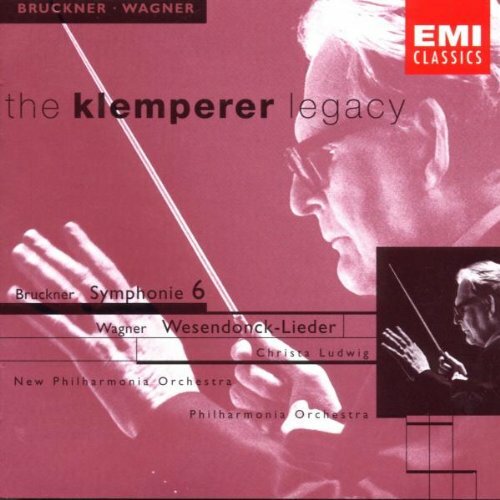 We recall the epic Bruckner Sixth Blind Comparison !!! F2 - The surprise contender of the comparison. 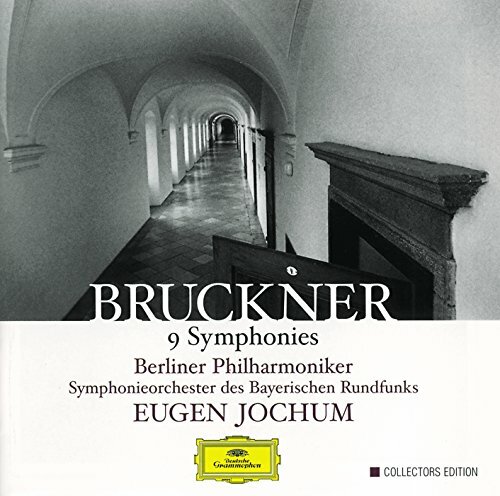 In regards to Symphony No 6 I will remain in Jochum's Bruckner temple no matter what!! Why am I not surprised that Celibidache won? 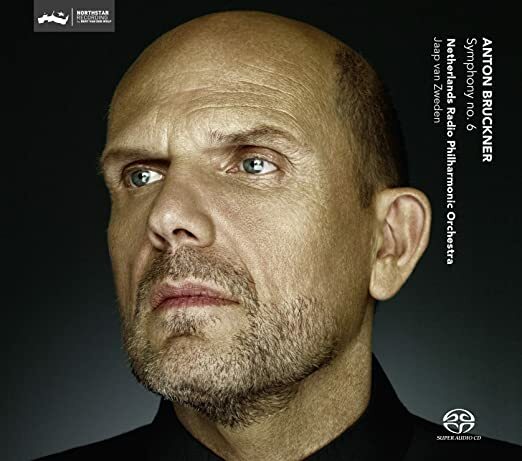 I'm not much of a Bruckner fan but I think they were indeed a match made in heaven. Oh I still do all the time, Leo, in fact it's easy considering I still own over 20 recordings just for the purpose of this blind comparison. I still own over 20 recordings just for the purpose of this blind comparison. But why will it be easier to remember post here than in your notes? I have a listening journal which I keep in a Google doc, so it is available everywhere and can be updated with any device, computer, phone, tablet. Now you've reminded me of my main worry with google drive, the actual file does not get mirrored on your hard drive, only a handle the actual data stored in google's cloud. What if I somehow loose access to my google account? Well, in that case the listening journal will be the least of my problems.